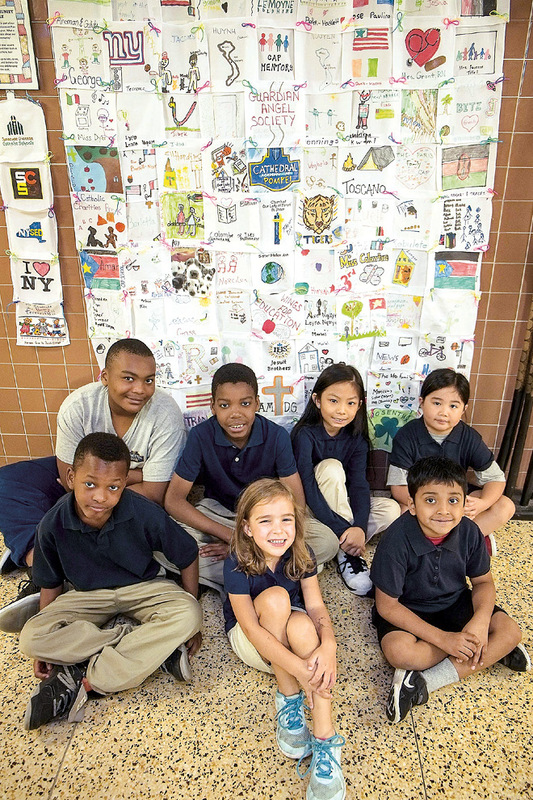 Students from the Cathedral Academy at Pompei showcase the beauty, talents and diversity of its student body through a quilt pieced together by volunteers after school families were asked to design squares that reflected the various countries and cultures from which they came. With a population that includes students not only from the United States, but from countries around the globe, the final product is a statement to the how the school embraces the various backgrounds and experiences of its students and families. The quilt is currently on display in the halls of CAP for all to see.